Vietnam has one of the best track records in making growth more inclusive and sustainable towards all segments of the society and population NOTE: It’s been a while since I wrote on my Medium page. I went through a career switch, going from the startup side to the VC side, through my work at VIISA. […] The post An overview of Vietnam’s venture capital industry appeared first on e27. NOTE: It’s been a while since I wrote on my Medium page. I went through a career switch, going from the startup side to the VC side, through my work at VIISA. While it’s been challenging, the work allowed me to contribute substantially to the Vietnamese startup ecosystem building journey, meet plenty of new friends and like-minded partners/mentors, and pick up a number of great knowledge gems along the way. This article, therefore, will be the first of a series of summaries and sharing that I will be posting moving forward. Just to clarify, the Investopedia definition of venture capital is as follows. Venture capital is financing that investors provide to startup companies and small businesses that are believed to have long-term growth potential. Venture capital, generally, comes from well-off investors, investment banks and any other financial institutions. However, it does not always take just a monetary form; it can be provided in the form of technical or managerial expertise. Since opening up again to the global market in the early 1990s, starting with the Reformation movement kickstarted by the government, Vietnam has experienced a steady economic growth. Despite certain periods of economic struggles due to global depressions, Vietnam has enjoyed what World Economic Forum (WEF) recently dubbed “economic miracle”. This impressive growth, while quickly transforming the economy and society, also comes with sustainability. According to WEF’s Inclusive Development Index, Vietnam has one of the best track records in making growth more inclusive and sustainable towards all segments of the society and population, esp. female business owners. The government also pours plenty of public investments into building infrastructures and human resources. Through hefty improvements in education, especially at primary level, Vietnam has produced a numerous generation of IT and software engineers, enough for international corporations like Intel, Bosch, Samsung, etc to set up R&D centers here while also nurturing the development of local IT companies such as FPT, VNG, CMC, and so on. The capital injection into local infrastructure also exhibits successful returns, with Vietnam becoming one of the most mobile-friendly countries in APAC, with over 70 unique mobile users out of a population of 96 million, according to a recent WeAreSocial report. These conditions, combined together, have created a favorable environment for the outspringing of startup companies. Per a research by Dezan Shira & Associates, between 2010 and 2017, the number of invested startups had increased from 10 to 92, with 61 percent of the projects receiving investments of less than US$1 million. The local investors have also become more VC-friendly: Out of the 92 deals in 2017, foreign investors engaged in only 28 deals, while local investors accounted for a surprising number of 64 deals. This article, then, will attempt to account for the development of Venture Capital industry in Vietnam over the years, comprehend the current blossoming of VCs in Vietnam both in fund and deal sizes, and offer a prediction of the near-future growth. By definition, the Venture Capital industry in Vietnam has been developing since 2004, with the establishment of IDG Ventures Vietnam (IDGVV), founded by Patrick McGovern, founder and Chairman of International Data Group (IDG). Between 2004 and 2013, IDGVV invested in 42 portfolio companies, spreading across a wide variety of industries, both tech and non-tech. Some of the most noteworthy investments made by IDGVV include VNG (#1 Internet/Gaming enterprise in Vietnam and arguably Vietnam’s 1st unicorn), Webtretho (Project Lana) (recently invested by LINE Ventures), and Vietnamworks (acquired by En-Japan). Another early riser in this industry is CyberAgent Ventures (CAV), a Japan-based VC fund that entered Vietnam in 2008. They have invested in over 25 companies in Vietnam, including some of the best Internet- and mobile-based services in Vietnam. Three of their most high-profile investments include Foody (reportedly acquired by SEA Group), Tiki (#1 local e-commerce platform, which was invested by JD.com, China’s largest e-commerce platform), and Batdongsan.com (acquired by PropertyGuru, Asia’s largest online property platform). Finally, one cannot miss DFJ VinaCapital, a joint venture between VinaCapital, one of Vietnam’s largest Private Equity funds, and Draper Fisher Jurvetson (DFJ), an American venture capital firm focused on early- and growth-stage investments. Founded in 2006, DFJ VinaCapital had invested close to 50 million USD in a range of businesses, with the most successful exit being Yeah1 Group (YEG), a listed company on HOSE valued at roughly US$400M valuation. 2017–2018 has been an exciting time for Venture Capital investors in Vietnam. Not only because of the new Decree №38/2018/ND-CP, in which the detailed pathway for incorporating and operating a Venture Capital fund is clearly defined by regulatory bodies, but also because of the recent successful fundraises of several existing funds as well as the establishment of new funds. 500 Startups Vietnam is such a case of existing funds successful raising. Founded in 2016 with an intended thesis of a US$10M fund focusing on Vietnam, they finally completed their fundraising in mid-2018, over-reaching their original goal. 500 Startups Vietnam currently has over 30 companies in their portfolio, covering a wide range of industries, such as AdTech, E-commerce, and Fintech. Their first successful exit also happened in 2018, with WifiChua being acquired by Appota. The newcomers, however, are not to be underestimated. Vietnam Innovative Startups Accelerator (VIISA), a US$6M accelerator and seed-stage fund co-founded by FPT and Dragon Capital, was debuted in September 2016, in order to not only provide startups with the initial capital needed for growth but also the know-how and skill sets needed for successful fundraising. After two years in operations, VIISA has invested in 23 companies, which are connecting with 1500 business clients, serving 15000 monthly active users, and operating in 5 different countries, according to VIISA’s statistics. VIISA has also made three seed investments along with other investors: WisePass, WeFit, and Base.vn. In 2018, VIISA sets out the target of helping its portfolio companies raise another US$5M from external investors, as well as becoming Vietnam’s №1 accelerator. Another newcomer entering the stage is VinaCapital Ventures. Announced in August 2018, VinaCapital Ventures looks to invest US$100M into tech companies in Vietnam, starting with two deals: Logivan and FastGo. Logivanprovides B2B truck hailing and logistics network solutions to address the industry’s inefficiencies, while FastGo is a Vietnamese-made ride-hailing mobile app that offers advantages to both drivers and passengers. This new fund indicates the continuing interest of VinaCapital into Vietnam’s technology ventures, despite the dissolution of DFJ-VinaCapital partnership. Vietnam’s startup investments, especially in tech sectors, have finally gained momentum in the past few years and accelerating fast. However, challenges remain ahead. Among them, the major challenges facing the startup community in Vietnam are the lack of talents, funding, scale, and slow regulatory reforms, according to Dezan Shira and Associates. Fortunately, there are already promising signs of more capital being put into funding startups and educating the local workforce to become more in-par with the regional standard. VinGroup, the country’s largest real estate developer, has announced plans to set up VinTech, its new technology arm, that will create two research institutes to develop big data and high-tech applications. This is not to mention its already maturing investments into VinFast, Vietnam’s 1st domestic carmaker, which just debuted its two latest models at Paris Motor Show 2018 and successfully secured a US$950M credit line led by Credit Suisse and HSBC to develop its car-making facilities and technology. Fintech is another key vertical that attracts massive interests from regional investors. According to a research by Solidiance, Vietnam’s fintech market hit US$4.4 billion in 2017 and will reach US$7.8B by 2020. 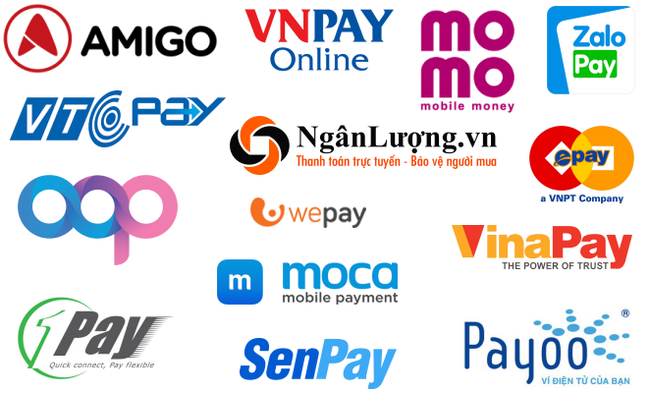 This change, per Solidiance’s analyses, will most likely occur thanks to the progressive policies from the government (pushing for non-cash transactions, establishing a FinTech Steering Committee under the State Bank of Vietnam, and improving the mobile infrastructures and coverage through massive telecommunication projects), as well as the growing needs for fintech solutions from both personal and corporate finance sectors, which will grow by 31.2 per cent and 35.9 per cent, respectively, by 2025. Finally, there are plenty of other potential areas that require serious innovation and entrepreneurship to tackle. B2B (business-to-business) technology sector is such a case. According to Tran Huu Duc, Head of FPT Ventures and CEO of VIISA, the rise of B2B technologies is imminent worldwide, with companies like Salesforce, Atlassian, Palantir Technologies,… powering the next Industrial Revolution all over the globe. In Vietnam and Southeast Asia, however, B2B companies and services often face the obstacle of user behavior attaching to the traditional, manual working methods. 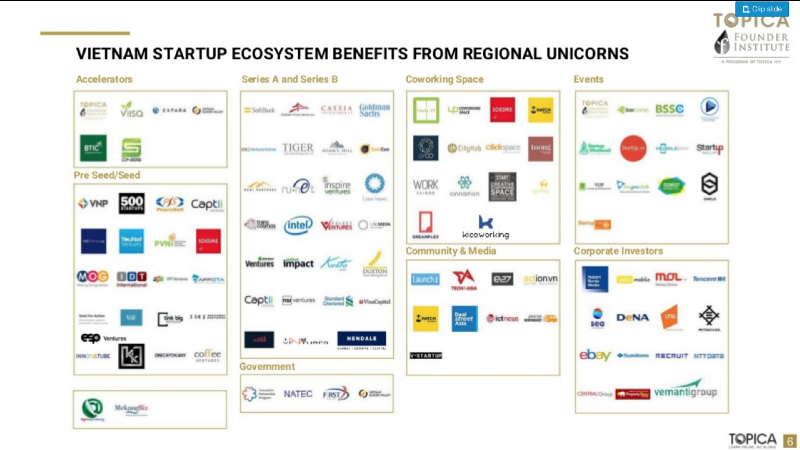 Therefore, these B2B startups will require major investments, both in terms of capital and expertise, from VC funds to help them not only educate the market but also scale fast and substantially. The Venture Capital industry in Vietnam has gone through 15 years of development. In this period, as the market grew, so have the VC funds. From only a handful of funds in the beginning, there are now more newcomers than ever, actively investing and nurturing startups all over the country. Despite certain challenges, the future remains bright and prospective for Vietnam’s VC industry to continue blossoming. The author does not guarantee the authenticity of third-party sources quoted in this article. The post An overview of Vietnam’s venture capital industry appeared first on e27.